The Romantic era entails a movement in the literature and art of virtually every country of Europe, the <?xml:namespace prefix = st1 ns = "urn:schemas-microsoft-com:office:smarttags" />United States, and Latin America that lasted from the late 18th century to the early 19th century. It is characterized by a shift from the structured, intellectual, reasoned approach of the 1700’s to use of the imagination, freedom of thought and expression, and an idealization of nature. Certain themes and moods, often intertwined, became the concern of almost all 19th-century writers. Those themes include libertarianism, nature, exoticism, and supernaturalism. Inspiration for the romantic approach initially came from two great shapers of thought, French philosopher Jean Jacques Rousseau and German writer Johann Wolfgang von Goethe. The preface to the second edition of Lyrical Ballads (1800), by English poets William Wordsworth and Samuel Taylor Coleridge was also of great importance as a manifesto of literary romanticism. The two poets reiterated the importance of feeling and imagination to poetic creation and disclaimed conventional literary forms and subjects. Thus, as romantic literature everywhere developed, imagination was praised over reason, emotions over logic, and intuition over science—making way for a vast body of literature of great sensibility and passion. This literature emphasized a new flexibility of form adapted to varying content, encouraged the development of complex and fast-moving plots, and allowed mixed genres (tragicomedy and the mingling of the grotesque and the sublime) and freer style. Many of the libertarian and abolitionist movements of the late 18th and early 19th centuries were given rise by the romantic philosophy—the desire to be free of convention and tyranny, and the new emphasis on the rights and dignity of the individual. Just as the insistence on rational, formal, and conventional subject matter that had typified neoclassicism was reversed, the authoritarian regimes that had encouraged and sustained neoclassicism in the arts were inevitably subjected to popular revolutions. Political and social causes became dominant themes in romantic poetry and prose throughout the Western world, producing many vital human documents that are still pertinent. The year 1848, in which Europe was wracked by political upheaval, marked the flood tide of romanticism in Italy, Austria, Germany, and France. Basic to such sentiments was an interest central to the romantic movement: the concern with nature and natural surroundings. Delight in unspoiled scenery and in the innocent life of rural dwellers is perhaps first recognizable as a literary theme in such a work as “The Seasons” (1726-1730), by Scottish poet James Thomson. 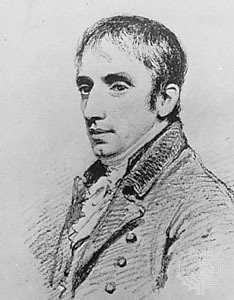 It was a formative influence on later English romantic poetry and on the nature tradition represented in English literature, most notably by Wordsworth. Often combined with this feeling for rural life is a generalized romantic melancholy, a sense that change is imminent and that a way of life is being threatened. The melancholic strain later developed as a separate theme, as in “Ode on Melancholy” (1820) by John Keats. The trend toward the irrational and the supernatural was an important component of English and German romantic literature. It was reinforced on the one hand by disillusion with 18th-century rationalism and on the other by the rediscovery of a body of folktales and ballads. Some of the major British poets during the Romantic era include William Blake, Percy Bysshe Shelley, John Keats, Samuel Taylor Coleridge, and Lord Byron. https://encarta.msn.com © 1997-2007 Microsoft Corporation.